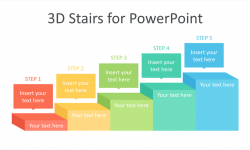 Support your message with this free 3D pyramid diagram for PowerPoint. 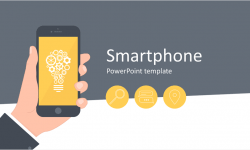 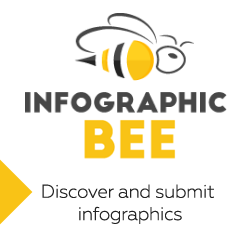 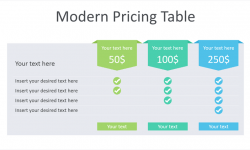 This template includes three slides with simple vector-based pyramids with text placeholders. 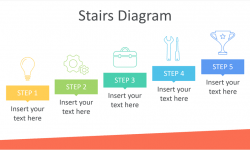 Slide variations include; five, four, and three levels. 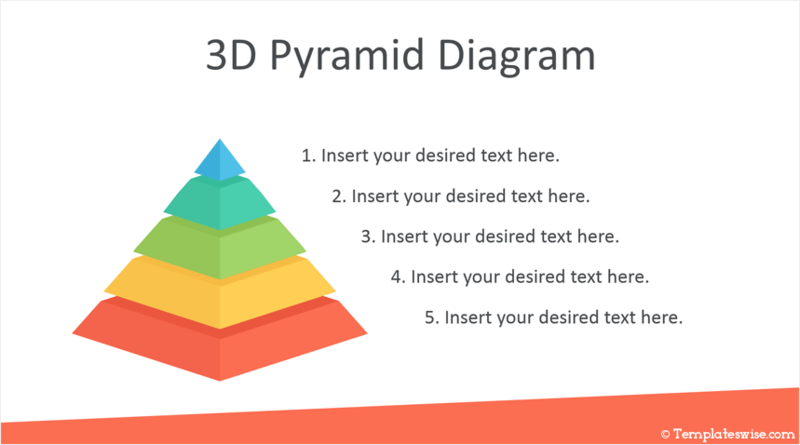 3D pyramids are a simple and effective way to show step by step elements to your audience. 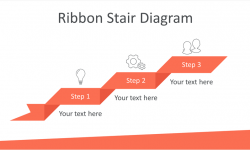 You can edit these shapes and customize the colors in the slide master view in PowerPoint. 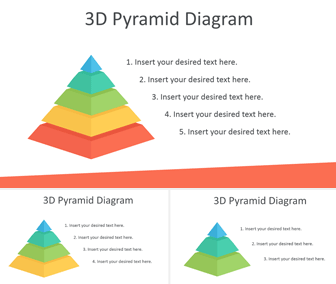 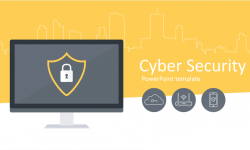 See also our Segmented Pyramid PowerPoint Template with thin line icons and flat shapes.